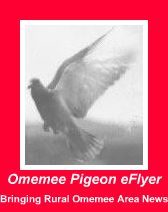 Omemee Pigeon eFlyer: Omemee 72nd August Flower Show!Come Celebrate! Omemee 72nd August Flower Show!Come Celebrate! Come out and enjoy our largest judged flower and vegetable show. As well as the adult competition, you will also see what their youth members can do! Friends and relatives are welcome. Come and bring a guest. Following the youth awards ,7:30-8:00, there will be snacks, then a slide show of the many activities involving their members. Doors open at 6:30.